Viking Books for Young Readers, 9781101999219, 40pp. 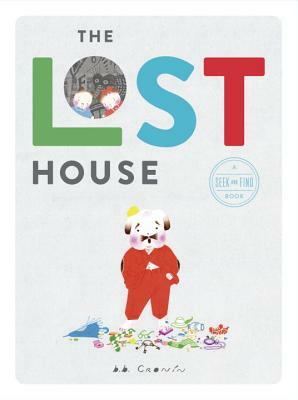 Fall into this award-winning seek-and-find book with its richly timeless style and get swept up in a treasure hunt through Grandad’s wild house! The children want to go to the park with Grandad, but they can’t leave until they find his lost socks…and his shoes…and even his teeth! Will they ever get out of Grandad’s busy house? With a trove of wonders to discover on every page, this seek and find book will enchant young and old alike as they search for Grandad’s lost objects. Oversized dimensions, a textured paper-over-board die-cut cover, eye-popping color, and elaborately complex spreads on every page make this book a collector's item and a must-have. B. B. Cronin is an award-winning illustrator originally from Dublin, Ireland. His work has appeared in The New Yorker, The New York Times, and on the covers of PenguinClassics, among many other publications. He was honored by a one-person show at the Irish Museum of Modern Art in Dublin in 1998. He lives and works in Brooklyn, New York with the illustrator Juliette Borda and their two children, Henry and Esmé. He divides his time between his kitchen, living room and his studio. Visit him on Facebook or at BrianCronin.com.